If you are looking to help a lot of people, have a lot of fun, and be a financially successful doctor with a purpose, this is for you. We are a well-established (13 yrs. ), and growing practice in Oakland County, Michigan. ****Benefits include competitive base pay, with simple to achieve bonus system. You can enjoy the security of a reliable income, no stress of overhead or staff management while living an affordable low cost of living city. We have great schools and wonderful parks with lots of fun things to do for singles or families. We’re a NUCCA practice and will teach and train. We have digital x-ray with modern equipment. We care for wellness patients, pediatrics, sports injury, and prenatal patients. We are 100% cash. The exact opposite of a PI mill or chain. We have a proven track record of associate success, don’t be someone else’s trial and error. All of this in a fun upbeat environment. You will have the opportunity to work side by side, with success minded doctors who are willing to help mentor and guide you, the experience is priceless. Sound interesting? Please E-mail CV to jamiecramerdc@aol.com to see if this is for you. “I’d always wanted the tools to build a successful practice and great colleagues to cheer me on. But, that’s exactly what I lacked in my solo practice. All that changed when I joined Dr. Jamie Cramer and the Precise Chiropractic team. I now have the tools and I’ve received the training to be the chiropractor and leader for my patients I’ve always wanted to be. I’m helping over four times the patients I did in my solo practice, have a great support staff to work with and cheer for me, all while making more money as well. 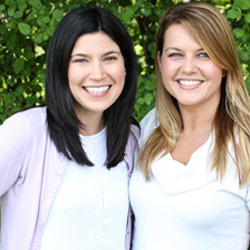 “Working at Precise Chiropractic has been a life changing experience. Coming from Palmer College of Chiropractic, my NUCCA encounters were limited. I was lucky enough to take the NUCCA elective course and have some patients that were under NUCCA care during my time in the Palmer Clinic. When it came to choosing a place to precept, I wanted the best learning experience that I could get. I chose to work at Precise Chiropractic because of the strong work ethic enforced in the office, the up-to-date technology, the friendliness of the staff and because of all the knowledge and experience that Dr. Cramer has on the NUCCA technique and running a successful office. After working in the office, I did not realize how much I did not know and how much I still had to learn. I have had the opportunity to take and analyze digital X-Rays, learn the basics in how to run a front desk, learn how to make office flow run smoothly and effectively, learn some marketing strategies and I was able to learn the NUCCA technique and biomechanics in more detail. All of this took hard work, time, dedication and passion on both Dr. Cramer’s part and mine. Dr. Cramer and her staff were so willing and eager to help me learn and make me feel like part of the team.